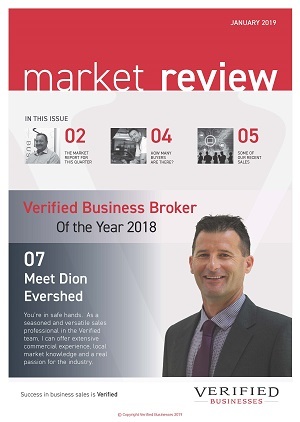 Business for sale – Craig Campbell 0419 747 709 of Verified Businesses has pleasure in presenting this Automotive business for sale. This business is in a prime position within a well-recognized ‘industrial precinct’ which includes numerous other automotive repairers of various types. The premises are large enough for 2 or 3 more Auto Electricians to work in comfortably, so there is ample scope to expand this business if new owners wish. The current owner is retiring and not keen to take on any additional work or staff. The business has a range of all the necessary plant and equipment including a hoist and mobile service vehicle, also features off street parking and a secure lock up yard. Clients include: Private customers, Small Businesses operators, Tradies, and several transport companies. Typically, 50% of turnover is from the average Car, 4wd, Caravan owner and small business operator, with the balance being larger businesses and corporate clients. The business can be expanded through increasing advertising and promotion, and simply taking on more work, or alternatively, if a new owner chooses, it can be maintained at the current level. Work carried out includes auto electrical and air conditioning repairs, the install of replacement alternators, air conditioner compressors and starter motors and new solar panels, trailer plugs and brake controllers, power outlets, dual battery systems, rust protection devices, and much more. The current owners established the business and have operated it for around 27 years, mostly specialising in air conditioning. Most account clients pay within 30 days whilst other clients pay COD. Well known, with a strong 80% - 90% ‘repeat’ customer base which has steadily expanded over the years, the current owner will provide one month’s training and introduction to clients for a new owner. The business is most suitable for the qualified Auto Electrician who is wishing to get into their own business for the first time and work full time in the business, and just ideal for a husband and wife team. This exciting growth business offers a new owner continued opportunities for growth, security and lifestyle for many years to come. These types of in-demand trade businesses don’t come up that often, so don’t be disappointed - Call for an inspection of the business ASAP!